In the first quarter of 2017, Americans repaid approximately $31.5 billion in credit card debt. However, given the $1 trillion of credit card debt still outstanding, your average cardholder is still carrying quite the balance — and likely paying interest on it. Considering the average credit card interest rate is over 16%, those fees can really add up. Fighting back against high interest rates, many consumers are taking advantage of balance transfers to minimize the interest fees they pay. By transferring your credit card balance from a card with a high interest rate to one with a lower rate, you not only reduce the amount of interest you pay, but you may also shorten the time it takes you to eliminate your balance and become debt-free. While the process is fairly simple, completing a successful balance transfer will require knowing a few important facts. For a balance transfer to be effective at reducing your fees, the card to which you transfer you balance needs to charge a lower interest rate than the original card. For example, if you transfer a $1,000 balance from a card charging 20% interest to one charging 10% interest, you’ll go from paying $200 a year in interest to only being charged $100 a year. Even better than cutting your interest rate in half is to cut it out completely. For that, you’ll likely need to take advantage of one of the introductory 0% APR balance transfer offers provided by many popular credit card issuers. Our favorite cards offer 0$ APR on balance transfers for up to 18 months, as well as popular rewards programs and no annual fees. When comparing 0% APR intro offers, be sure to double check that the offer is good specifically for balance transfers, rather than only applying to new purchases. With cards offering intro rates for both new purchases and balance transfers, you’ll also want to verify the length of the introductory period, as it can vary between transaction types. Whether you take advantage of a no-interest offer or simply find a card with a more appealing rate than you’re paying now, chances are good your balance transfer won’t be completely free of charge. While most issuers won’t charge a fee for transferring a balance away from a card, the card to which you transfer that balance likely will. In fact, the vast majority of credit cards will charge a flat-rate balance transfer fee for each transfer you make to the card. Fees will vary by issuer and card, but typically range from 3% to 5% of the transferred balance. For the most part, the only credit cards that don’t charge a balance transfer fee are offered by credit unions, which will usually require that you become a member to obtain a card. That said, some major issuers that offer 0% APR introductory offers may occasionally include zero balance transfer fees as part of the offer, though the time you have to make the transfer without fees may be limited. Different cards from the same issuer may charge different fees and/or have different introductory rates. Be sure to check the terms and conditions of a particular credit card offer to determine if you’ll be charged a balance transfer fee. If you’re looking to transfer a balance to an existing card, you can find the details of any applicable balance transfer fees listed in your cardholder agreement. Your agreement can be found in the documentation that originally arrived with your approval notice and/or your physical card, or can often be downloaded from your issuing bank’s online banking center. The method you use to transfer your balance will depend primarily on the card to which you are going to make the transfer. Many major issuers will allow consumers to transfer balances to existing cards either in person, by phone, or online through their credit card management system. However, smaller banks and/or credit unions may require that the process be completed over the phone or at a local branch. Regardless of the method you use, you’ll need the account number and balance of the credit card from which you are transferring the funds. You’ll also need the account number of the transfer card, or the card to which you are moving the funds. With this information in hand, you can either call the customer service line for the transfer card or log into your online account to complete the transfer. The exact steps for transferring your balance online will vary by issuer. For instance, Chase customers can select the “Transfer Balance” option next to the Available Credit listing on their credit card summary, while Discover cardholders can find balance transfer selections under the “Credit Options” menu. If you are having trouble completing the process online you can contact your issuer for assistance. 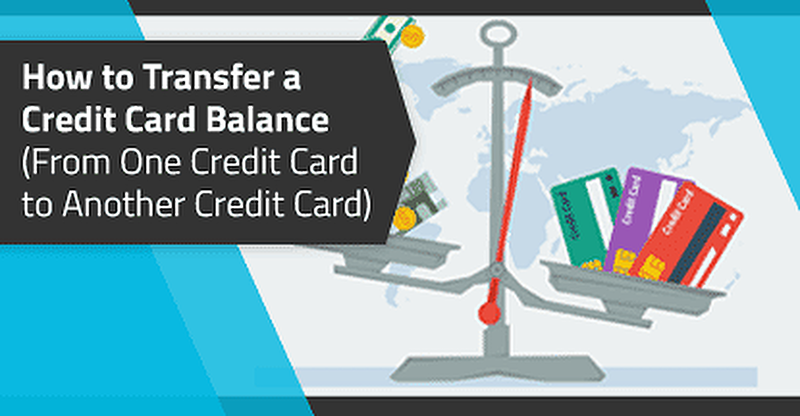 For those who are applying for a new credit card to act as the transfer card, the actual process of requesting a balance transfer can often be completed during the application itself. 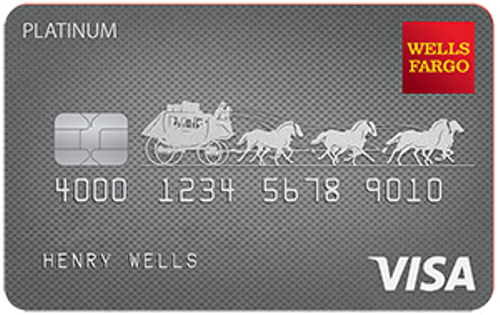 The Discover it® Balance Transfer card, for example, allows applicants to include up to three balance transfer requests in the application form. Keep in mind that not all of the balance transfer requests you make during the application will be completed if they exceed the credit limit for which you are approved. No matter how you transfer your balance, the process is going to take time. In fact, many issuers warn that balance transfers usually take at least seven to 10 days to complete, and may take up to 30 days to fully process. On the plus side, some reviewers report that wait times are often shorter than expected, and may be completed in as few as 48 hours. Whatever the case, it’s important to maintain both cards (the one you’re transferring from as well as the one you’re transferring to) in good standing. This means making at least the minimum payment on your original card until the balance transfer is completed and the card no longer shows a balance. Missing a payment on either card can negatively impact your credit, so it’s always better to play it on the safe side. Even if you end up making a redundant payment on your original card, you won’t need to worry about losing the money. Any overages should be returned to you as a statement credit on your account (or as a check, if you happen to close the account). The dream of many a credit card churner, the idea that you could earn cash back or travel rewards from a transferred balance is, sadly, one that will remain unfulfilled. As the marketplace stands, you can’t earn rewards on a balance transfer from any credit card — at least not that we could find — and certainly not any of those offering introductory 0% APR for those transfers. Additionally, your transferred balance won’t count toward any applicable spending requirements for things like signup bonuses or branded rewards. Unfortunately, you’ll have to meet those requirements the old-fashioned way — by making purchases with your card. Of course, make sure to pay off those purchases before your due date to avoid paying interest (or find a quality 0% APR offer for new purchases). With more than $1 trillion in credit card debt to go around, many Americans are carrying credit card balances — and paying interest on them. But a few credit-savvy cardholders are avoiding padding the pockets of their banks by taking advantage of balance transfers and 0% APR offers to minimize the fees they pay. As tempting as these offers can be, however, never forget that introductory offers are introductory. At the end of the introductory period, be it six months or 18, you will no longer enjoy the interest-free fun of a 0% APR. Instead, intro balance transfer APRs will automatically revert to the standard balance transfer APR for which you were approved. And that standard balance transfer APR isn’t going to be ideal. Typical APRs run from 14% to 26%, depending on your individual creditworthiness, and fees can start accruing the day your intro period runs out. To find out the standard balance transfer APR for a particular card, check the terms and conditions for the card offer and/or the cardholder agreement.